Team members of Let’s Talk Care – from left, Esther Chew, Freda Tan, Lim Say Hwee and Haikal Latiff. 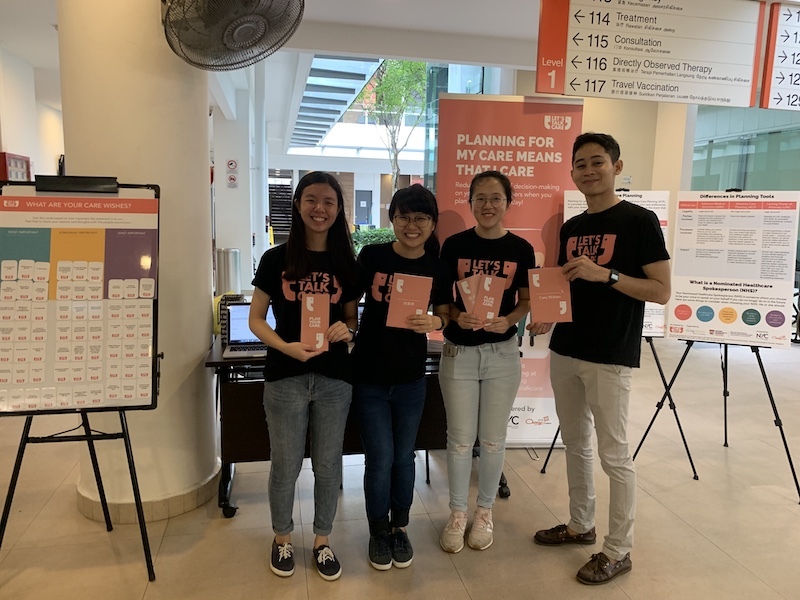 Talking about one’s Advance Care Planning (ACP) can be a difficult subject, but not for a team of four final-year Communications Studies undergraduates from Nanyang Technological University (NTU) who have taken it upon themselves to put the spotlight on this subject. From January to March, they came up with a campaign called “Let’s Talk Care” to raise awareness on ACP, and to urge Singaporeans to reflect on their future health and personal care preferences in advance, in an event they might lose their mental capacity to make decisions on their own. ACP is a non-legal document unlike an Advance Medical Directive (AMD) and a Lasting Power of Attorney (LPA), and does not require a lawyer. An AMD involves telling your doctor that you do not want extraordinary life-sustaining treatment to prolong your life when you become terminally-ill and unconscious, where death is imminent. A LPA involves appointing a donee to make decisions on property and financial matters on your behalf when you no longer have mental capacity to do so. They shared that even though there is an increased attention and emphasis on the LPA, the general public is largely unaware about ACP. “Our research has shown that even after respondents learned about ACP and acknowledged the importance of it, they have lower intentions to do it now.” Hence, the students through their campaign developed online collaterals and conducted public outreach booths such as at Tan Tock Seng Hospital and Bishan Public Library, educating over 772 people on ACP and urging them to start planning their care now. Reflection workbooks in English and Chinese, produced by Let’s Talk Care. 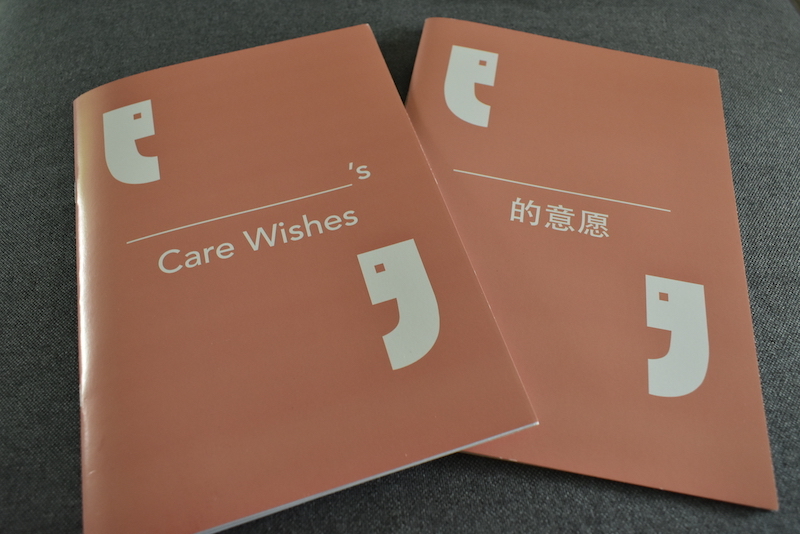 The team from Let’s Talk Care also came up with two reflection workbooks in Chinese and English. In these workbooks, there are nine questions which allow individuals to sort their care wishes based on different levels of importance. People can initiate their care conversation with their loved ones using a postcard provided at the end of the workbook. The students said they have shared their findings and learnings from their campaign to their partners for them to adapt to their future outreach events, and some of their campaign collaterals have also been passed to them. Though the Let’s Talk Care campaign may be over, you can still download a copy of the workbook at: www.letstalkcare.sg/reflect-acp.